The final week of the regular season delivered an intense and often-times stressful spectrum of games. The two bottom-placed teams, who had been mathematically eliminated from playing in the gauntlet, squared off in a battle to escape the wooden spoon. The fresh new team, Mammoth Esports had an opportunity to knock out a member of the OPL’s old guard into the bottom three teams and secure themselves a finals berth. The Bombers, locked into their first gauntlet as a franchise, went up against The Chiefs to see how far they’d really come. And Order, the boys from Melbourne, had to stand up against the Dire Wolves as the last team who could stop their undefeated year. Avant Garde pulled the trigger first, sending Praelus bottom to punish incautious enemy laning. They continued playing the map proactively, pushing lanes and threatening ganks, Frae took down his lane opponent solo with an impressive Akali combo. Tectonic attempted to create opportunities for themselves but Avant Garde played around them too well, taking first drake and tower. After Tectonic failed to take a turret with the Rift Herald, they lost all of their carries in a short skirmish and gave up two turrets in the mid lane. Avant Garde, having pushed themselves miles ahead in gold and in the mid lane, looked to Baron and managed to take it in the Fog of War. Avant Garde took every structure in Tectonic’s base in no time. After playing the entire game on the backfoot, Tectonic could hardly put up a fight at each inhibitor and eventually their nexus was destroyed. Following a few minutes of passive early laning, four members of each team found each other in the river. Avant Garde took a single kill out of the skirmish, securing first blood. But after UDYSOF hands his bot lane an easy kill, Tectonic had all the momentum. Avant Garde tried to bring themselves back in the game, ganking bot lane and securing Rift Herald. But their attempts backfired and Tectonic took three more kills and the first turret. Avant garde kept trying to force plays and eventually managed to shrink Tectonics gold lead, then after taking one more kill they fancied themselves a chance to sneak Baron. But they vastly overestimated their strength, Tectonic caught them with their hand in the cookie jar and killed four of them. Tectonic once again extended their gold lead, and secured a Baron Buff. Avant Garde lost an inhibitor to Tectonics first Baron push, and let take a nexus tower fall while they were busy fighting. Another fight breaks out but once again, Avant Garde did not think about their open base. Praedyth had pushed a wave in the bot lane to the nexus, and before Avant Garde knew it, the backdoor was complete and Ryze destroyed the nexus. An early skirmish in the mid lane goes Avant Garde’s way, and Praelus once again gains his team an early lead.Tectonic responded quickly and found themselves a kill, but they let Avant Garde’s Rift Herald take two towers with Pabu and get a charge off on a third. The game went from even to massively in Avant Garde’s favour very quickly. At 17 minutes, Tectonic only had inhibitor turrets left and Avant Garde looked like they couldn’t lose a fight even though the teams only had three kills each. Avant Garde thought themselves far enough ahead to start a Baron clearly in vision, but Praedyth tried to turn back the clock and starts pushing the bot lane as Ryze. Avant Garde end up trading their Baron Buff for an inhibitor. Tectonic drew the line in the sand at their own bot lane inhibitor and not let Avant Garde past without a fight, but the combined engage power of Ornn and Rakan let Avant Garde fight in Tectonics base on their own terms. After wiping out Tectonic, Avant Garde took their nexus and the series. Claire was the first to fall in the series, being ganked by Juves and Cuden. This continued the trend of Akali dominating the first ten minutes in games she is picked. Claire teleports his team into Mammoth’s jungle, the extended skirmish ended as a four for three kill trade in the favour of Legacy. But allowing Remind’s Akali to get two more kills could have come back to bite them. With said Akali constantly threatening the map, Mammoth were able to apply enough pressure to safely secure the Rift Herald and let it take down Legacy’s mid tower uncontested. Legacy group and respond immediately, taking Mammoth’s mid tower. But their sloppy retreating was punished and Remind put another kill on the board. Although Legacy shut down Remind, they refused to respect the amount of gold and damage that Mammoth Esports had on their team, and engage a fight that they eventually lose. As soon as Decoy’s ultimate was up again, Legacy tried the exact same engage again. The botched engage cost Legacy three members and the Baron Buff. Legacy weather the storm of Mammoth pushing into their base and wait out the Baron Buff without losing an inhibitor turret. Legacy are able to secure the next Baron and Mammoth takes the Elder Drake as a consolation prize. But Legacy looks so much more threatening pushing Mammoth back into their abse and taking the next two Baron Buffs as Mammoth keep hanging on the every fight and siege. After 60 minutes Legacy are finally able to find the fight they were looking for all game, taking down four members of Mammoth and taking the first game. Legacy drafted a very confident team in game 2. Knowing they had to build a lead for their picks to work, Legacy started rolling the die from minute 1. Their proactive movement around the Rift pays off, and they were able to take the Infernal Drake, the Rift Herald and the first tower. But Mammoth responded well and secured the first four kills for themselves. Mammoth had a small lead and did well to try and extend it, finding two more kills, an ocean drake and depriving legacy of their jungle creeps. But Legacy still had a lot of damage on Claire and Raid, and were able to rush a Baron just after 20 minutes, only losing two members. Mammoth were then ambushed by Legacy in the dragon pit and Legacy found three kills. Suddenly Legacy were holding all the cards with three baron Buffs and death timers on Mammoth. But after they fight off Legacy from their inhibitor turrets, Mammoth are able to spot Legacy heading for a dragon and take their chance to rush a Baron of their own. Legacy realises what’s happening but arrive too late, mammoth are able to to engage on them heading into the river and win a team fight. Before Mammoth could push past Legacy’s inhibitor, the baron Buff had timed out and Legacy found a fight they could win. They took down four members of Mammoth just before the baron spawned for a third time, Legacy were able to secure the Baron and Elder Dragon buffs and begin to siege the enemy base. Legacy overestimated their lead and are wiped out trying to end the game. The teams reset and once again met in the river ready to fight for the fourth baron. Legacy were too good however, winning the fight, the baron, and the game. Babip didn’t take long to impact the game, diving the Bombers bot lane and taking them down with help from his own bot lane. The Bombers attempted to get a kill back on the topside but fell just short. Seb brought the aggression to The Chiefs top side yet again and this time the Bombers put two kills on the board for themselves but ry0ma was able to salvage a kill for himself. The Bombers set up a play on the bot side that demonstrated the power of their high crowd-control composition, starting a skirmish and locking down a kill for themselves. But The Chiefs proved to be more than a handful and disengaged the fight quickly, preventing anyone else from being CC-chained and killed. Swip3rR ignored the fight in the bottom lane and secured the first tower. The Bombers continued to try and find picks on The Chiefs members but fights were constantly turned around on them. But their persistence pays off and the Bombers were able to secure baron after winning a fight. But in their first push into The Chiefs’ base, the Bombers got knocked around and forced to fight scattered and exposed, and eventually got aced. The Chiefs group up and looked for the Bombers, ready to fight and take a neutral objective. But the Bombers ended up losing three members with a wave pushing into their midlane and The Chiefs are able to simply end the game. Babip once again played the part of the early-game-assassin, pouncing from the bushes for first blood. Looch was able to keep himself alive from an ‘all in’ combo from Zed, but ry0ma managed to take him down eventually with help from Babip. The Bombers rotated their bot lane top side first, but still ended up losing first tower somehow in that top lane. The Zed pick didn’t take long to pick up the kills it needed to come online and take over the game. The Bombers started playing back behind their towers with the constant threat of a Nidalee and Zed double assassination looming. Sleeping managed to shut down ry0ma after the Zed deleted two fifths of his team, stopping The Chiefs’ Baron attempt. The Chiefs looked like certainties to take the Baron after winning a fight convincingly but Seb was able to steal the buff from under their noses. The Chiefs didn’t end up needing the baron Buff to end the game, instead they began to seige the base with a ten kill Zed and wiped out the Bombers and their base. Shernfire and Spookz, having both found themselves on potential carry junglers worked the map early, attempting ganks and and warding deep in enemy territory. Shernfire was the first jungler to blink however, and gets caught out by Spookz and Swiffer. Shernfire didn’t take long to return the favour, killing Swiffer caught having a rare brain-fade. Tally and Spookz combined to burn down an early Rift Herald, finished before the Dire Wolves could ping ‘missing’. This was when the Dire Wolves begun to push themselves forward on the map, and look for kills in Order’s jungle. Swiffer and Spookz are found but manage to trade back a kill on Shenfire. The Dire Wolves concentrate their energy to the midlane, repeatedly pushing in their minions and looking for kills behind Order’s tier one turret. But Order is able to respond immediately, trading their mid turret for Dire Wolves’ top tier 2. The Dire Wolves are caught scrambling across the map and Order are able to delete four members of the Dire Wolves and lose nothing, them set their sights on the Baron. Order were able to take everything on the Dire Wolves side of the map, outside their base. Shernfire’s frustrating game continued, being caught out twice before Order reseted and secured their first inhibitor of the game. The Dire Wolves were able to push their waves out of their base and contest Baron, eventually pushing Order off it. After trading a few kills back and forth, Shernfire caught Swiffer without his flash and picked him off. Order were forced to concede the Baron after losing their mid laner. However, the Dire Wolves were not able to break Order’s base with the Baron. The Dire Wolves took the Elder Dragon, but in doing so expose themselves. They lost an inhibitor thanks to Tahm Kench’s ultimate, and the Baron in one clean play from Order. Order’s carries storm the Dire Wolves base and brute forced their nexus down to take game 1. Game 2 took a little longer than game one to get started, but eventually Shernfire kicked things off drawing first blood on Rogue. Spookz and FBI weren’t far from the action and chased the Dire Wolves back to their turret taking two kills for themselves. Order’s jungler rotated top to secure the Rift Herald, the Eye of the Herald ended up costing the team two kills. However, their bot lane was able to trade those two kills back, making k1ng’s life very hard. Order secured the first tower in the bot lane, but with the laning phase over, Cupcake was released. Cupcake is able to set Tally up under his turret to be taken down by BioPanther. The mid lane back and forth pushing between the two teams finally boiled over into a full out brawl, Order looked like they could have run away with it, but the longer the fight went on, the more damage the Dr. Mundo was able to put out. Order tried to force a fight after a short lull in the game, but the 5 and 0 Dr. Mundo went where he pleased and pushed Order back into their base. The Dire Wolves then headed to the Baron pit to feign securing it for themselves, Order tried to stop them and get turned on immediately. The Dire Wolves scored an ace and earnt an uncontested Baron, and suddenly Bio Panther is 10/0/2 on Dr. Mundo. Order weren’t able to stop the Baron empowered siege with BioPanther standing in front of his team. The Dire Wolves have no problem sieging Order’s base from behind their Dr. Mundo and take game 2, sending the series to a game 3. 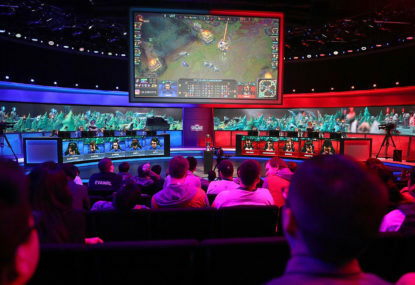 The last game of the OPL Split 2 Regular Season started in a peculiar fashion as a teleport is used by Order to help secure a scuttle crab. First blood was earned by Triple who caught Swiffer in a perfectly executed ‘Shurima Shuffle’. Order tried to find a couple of kills for themselves in the bot lane but end up giving the Dire Wolves four kills across the map. Despite the kill deficit, Order’s bot lane was still far enough ahead of their lane opponents to take the first turret. FBI held a minion kill lead over k1ng, but the Dire Wolves still had the game in their control. Order started showing signs of frustration, trading a tier one turret for their own mid tier two and flashing forward into the Fog of War. The Dire Wolves only had to keep a level head and continue punishing Order’s mistakes to extend their lead. The Dire Wolves find Order over extended in the mid lane and are able to kill enough members to take Baron uncontested. With the baron buff the Dire Wolves were able to destroy an Order inhibitor and expose another. More than 10k gold ahead, the Dire Wolves didn’t end up needing another Baron buff to stroll into Order’s base and reduce it to rubble. The Dire Wolves finish Split 2 2018 without losing a series.